2019-20 Narrative Lectionary Worship Resources Available Now ! The Narrative Lectionary is a weekly and seasonal, four-year cycle of readings from Holy Scripture. Faculty at Luther Seminary put it together as an alternative to the Revised Common Lectionary. Both the RCL and the NL have advantages and disadvantages. However, the the series of readings known as the Narrative Lectionary focuses on telling the stories of the Bible. According to Working Preacher, it centers on sharing the story of "hope and disappointment, suffering and redemption. In all these varied contexts, we find God dealing with the complexities of human life." Click here for a great video explaining the "storied nature" of this particular list of readings and what value it has for your faith community. 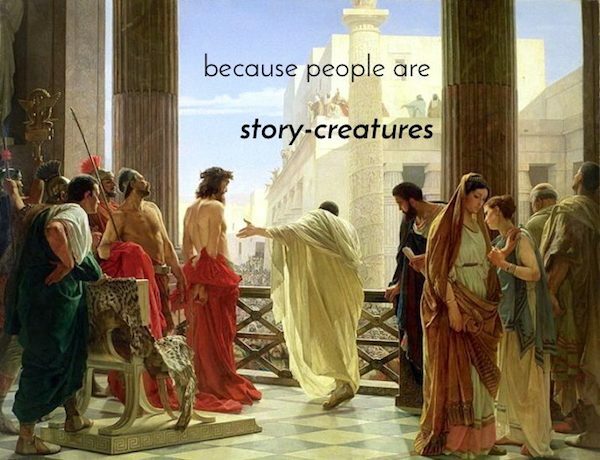 Human beings are "storied creatures." What this means is that people respond to stories. 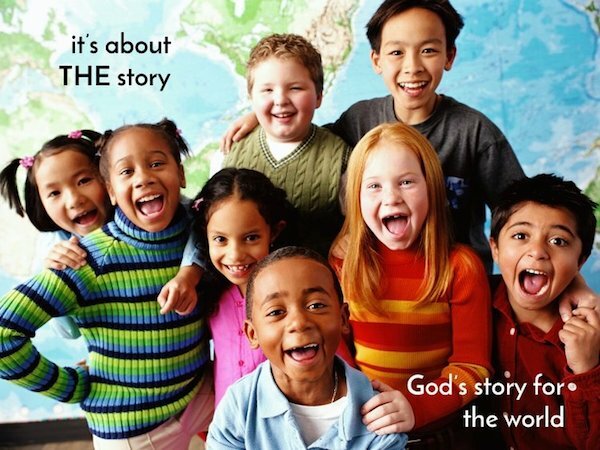 We understand ourselves and our relationships to God and each other primarily through stories. Not that any other lectionary resource like the RCL doesn't tell stories—the four-year cycle of readings in the NL just . . . does it better. We've got a whole pile of reasons. We have original music. We're sensitive to inclusive language and progressive, grace-centered theology. We have theologically adept and skilled writers. We also make an effort to include all people when we write our resources. We're fun. Oh . . . and we're cool. You'll know as soon as you read how we've successfully woven the theme of each biblical text within each and every one of our lessons based off the this series of readings within scripture. What's more, you'll find that our Narratology™ confirmation program for churches can be easily woven into your NL worship! Narratology is the perfect solution for those seeking an affirmation of baptism plan for 1, 2 or 3 kids and also has a special-needs section. Try out our worship preparation resources! Find the power of the story—God's story. Leaders continue to praise the work we put into providing the best worship planning materials you can find online. Not ready to commit to a full year to using the Narrative Lectionary? No problem. We have half-year and summer bundles to fit with your congregation's or faith community's plan of action. Click on the menu in the blue area at the top of our webpage to explore the site and find THE PRODUCT that best fits your needs! Clergy Stuff is proud to announce you can switch back to the RCL and still plan for worship. Clergy Stuff's Sister Site Arches 'n Bells provides dialogues, monologues, reader's theater, skits, plays & lent worship preparation. Dr. Kimberly “Kace” Leetch founded Clergy Stuff in 2011. Her goal was to provide resources for clergy and congregations to make their ministries cooler, easier, and funner. Yes, she means funner. Click on the menu in the upper left at the top to explore the site and find the product that best fits your needs. Click on the menu in the upper left at the top to explore the site and find the worship planning resource that best fits your needs.